Originally published by Social Work Now, May 4, 2011. Social workers come under intense pressures that can have a profound effect on their emotional wellbeing. Joe Lepper explores the techniques workers and managers can employ to manage the complexities of the role. Joe’s problems started after dealing with a particularly difficult abuse case. He received death threats from the child’s father, which stirred painful memories from his own childhood, and soon he became obsessed with the child’s plight. His other casework began to slip, which lead to resentment among his children’s social work colleagues. As a result, the promotion he craved slipped even further from his grasp. He turned to alcohol to help him cope. Excessive drinking caused his marriage to begin to fall apart. Within six months, he became totally demotivated and switched off emotionally. No longer able to do his job properly, he was signed off on long-term sick leave. 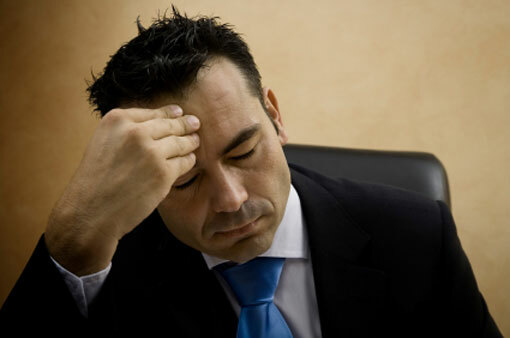 Joe had become yet another social worker to suffer stress-related burnout. According to a survey by BASW – The College of Social Work last year, two-thirds of social workers said the job caused them emotional or mental instability and just under half said they had taken time off due to stress. In Birmingham alone, social workers were signed off ill for an average of 24.9 days a year in 2010, almost three-and-a-half times the national average. Gail Kinman, professor of occupational health psychology at the University of Bedfordshire, says: “Social work is intrinsically tough. As well as dealing with difficult situations and decisions about families’ lives, you have the added pressures of constant change in policy and negative media coverage. Kinman believes those working in inner-city areas are more likely to encounter a wider range of traumatic cases. This will include cases ranging from female circumcision to supporting children who have survived terrorism and war. In 2005, the study The Experience of Work-related Stress Across Occupations examined the phenomenon of stress across a large and diverse set of roles. It identified three common stages that workers experiencing problems undergo. The first is emotional exhaustion, which leads to lack of energy. The second is a tendency to depersonalise clients as objects. And third, workers feel a poor sense of worth and personal accomplishment. Iain Bourne is a psychologist and director of Impact Training and Consultation, which provides courses to help a range of professionals to cope with dangerous and stressful situations. He applies the theory of psychologists Robert M. Yerkes and John Dillingham Dodson, known as the Yerkes-Dodson Law, which acknowledges that a certain amount of arousal or stress is needed to perform particular tasks well. But if the level of stress becomes too great, performance will decrease. The concept of “emotional labour”, developed by sociologist Arlie Hochschild in her book The Managed Heart: Commercialisation of Human Feeling, applies to social workers as well. The theory recognises the stress involved among customer service staff in managing their emotions publicly. “Although originally looking at areas of work such as cabin crew, it can easily be applied to social work. This exhibiting of fake emotions leads to a suppression of your true self and can be emotionally exhausting,” says Kinman. He is also critical of managers who focus too much on caseloads and performance. “Sometimes managers forget that they are social workers as well. When they get into management, they think they should become focused only on statistics and forget to actually supervise staff,” says Bourne. Louise Grant, a social work lecturer at the University of Bedfordshire, urges social work managers to take time to carry out reflective supervision with social workers. Reflective supervision, she says, gives social workers “the opportunity to look at what is happening in a case, how it impacts on them and some of the emotional aspects of their life that they are bringing into work”. At the University of Bedfordshire, social work students receive a range of training to prepare them for the emotional aspects of the jobs. This includes time management training, relaxation techniques, meditation and cognitive behavioural therapy techniques, which involves looking at how situations could have been dealt with differently. One model she is exploring is holding regular discussion groups led by a psychologist. “It has been shown to promote professional confidence and improve decision-making,” she says. Such a move would help change the culture among the many social work teams “which sadly are ignoring the emotional burden of the role”, she adds. As for Joe, he did eventually return to social work after receiving help from Bourne, but he pursued a different path working with adults with learning difficulties. Bourne says it was necessary to “unravel all the stress factors one by one” in Joe’s life before he could start practising again. “It is critical that people understand how much the job can affect social workers emotionally,” says Rebecca Brewer, a senior social worker in Milton Keynes Council, who was appointed three years ago to support colleagues with emotional issues. The role has been created as part of Milton Keynes’ involvement with the Children’s Workforce Development Council’s newly qualified social worker programme and helps new recruits manage their caseloads and understand the emotional aspects of the job. New recruits are given oneand-a-half-hours of reflective supervision each month to discuss any personal issues that are affecting their work and concerns around particular cases. “It helps them to develop a professional shell and resilience to stress. If they have a particular problem or are involved in a difficult case, then sometimes we meet each week,” says Brewer. As well as supporting newly qualified social workers, Brewer also supports more experienced colleagues and arranges training for managers and aspiring managers. She also provides advice on time management. “What we want to avoid is that feeling of being overwhelmed by the job,” she says, adding that “the focus is very much on giving people the chance to reflect about the job, cases and decisions they take. We want them to be able to step back from it and have the time to do that”. Regular group sessions, held either monthly or bi-monthly, are now being planned to allow social workers to discuss concerns and the emotional side of the job with their colleagues. “For some situations this will not be appropriate, but the feedback we received after consulting staff was that the opportunity to reflect in a group was something they wanted,” says Brewer.